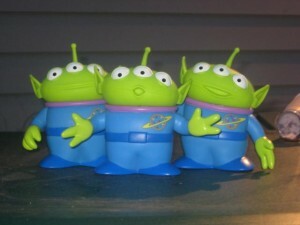 The Claw is My Master! 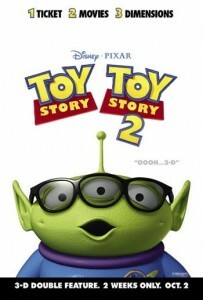 Toy Story is celebrating an anniversary next year and in celebration Toy Story and Toy Story 2 are being released in theaters in 3D. In preparation for this Thinkway Toys has released a new line of movie accurate toys! The aliens are exact replicas based on original movie footage and the exact size the ones in the movie would have been had it not been, you know.. animated.. The set also comes with a Certificate of Authenticity stating that they’re exact movie replicas. Keep an eye out for the movie accurate Buzz Lightyear, Woody (with 50 different sayings! 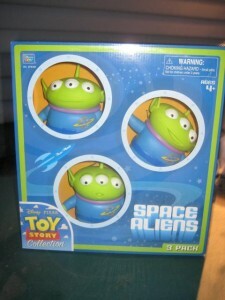 ), AND Bucket of Army Men as well as many other fun Alien items!